E.M.M.A.’s ‘Glacé’ single out today! E.M.M.A.’s Astral Plane Recordings debut is out now. Get it here. London’s E.M.M.A. is one of the most celebrated producers to rise out of the British capitol in recent years, conjuring vibrant sonic landscapes and breathtaking dancefloor-driven formations in equal measure. Glacé marks her arrival to Astral Plane Recordings, offering a glimpse into a wealth of new material recorded in recent years. Never one to accept the status quo of her surroundings, E.M.M.A. has also delved full on into radio and hosting production workshops for young women as co-host of the Angel Food show on NTS and founder of the Producer Girls workshops respectively. It’s a cliche, but half a decade after emerging from the London underground, E.M.M.A. has turned her focus to the community around her as she continues to push bleeding edge sounds on her own terms. Glacé came about in the midst of those efforts, born out of the on-the-ground energy of both projects and informed by a desire to make something one step removed from daily routine and reality. Richly layered synths are the name of the game on “Glacé”, a colorful melange of percolating highs and mids that pulse and quiver as the track progresses. The percussion is influenced by classic new wave sounds, providing a flexible structure for the dense textures to unravel around and for the listener to grab onto. 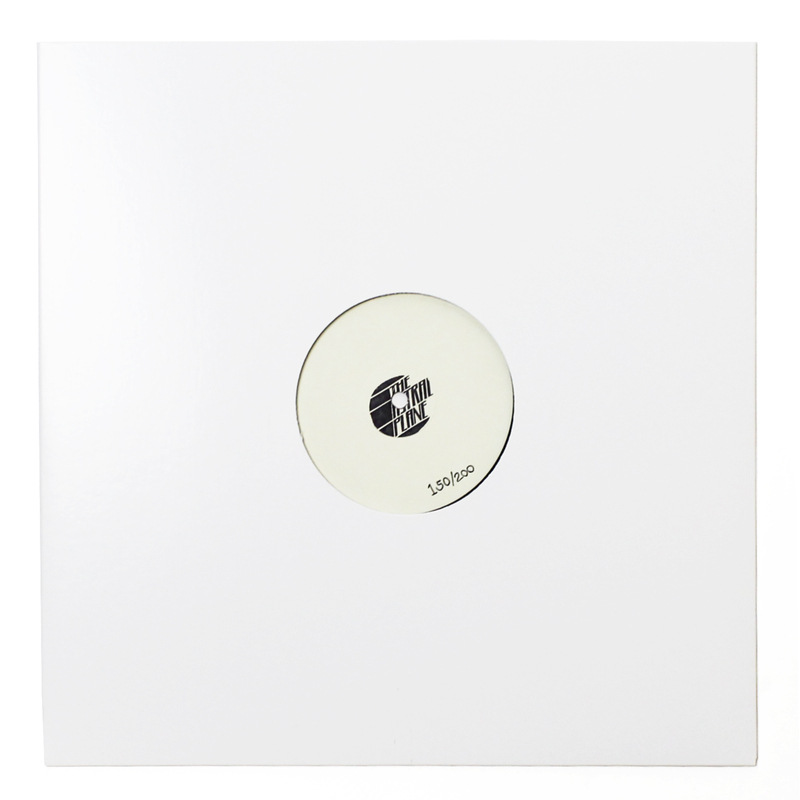 A beatless version and a spacious, tactile remix from Gobstopper artist Iglew round out the package, which is out in full now. It was around this time last year that we were putting into motion SHALT’s Acheron EP, the debut release on Astral Plane Recordings and a stunning record that set the tone for the rest of the year. Physical music that doesn’t fit into existing structures has become our calling card and we’re extremely proud of each of the six releases we’ve worked on this year. It’s been a pleasure to work with SHALT, Chants, Nunu, Exit Sense and LOFT and each respective project corresponds to emotions felt throughout what was an intense year for many. It’s become second nature to follow the happenings, minor and major, of the music world, but we fully understand that the process is time consuming and arcane to many so we decided to gather up details on all of our activity this year and collate them in one place. The following mixes, videos and other audio-visual detritus from the past 12 months follows something of a linear timeline. They paint an overview of what we and our artists have been up to and it turns out we were busy for pretty much the entire year. It’s not easy to run a small, independent label, but it’s made far easier when the people around you are constantly hustling their asses off both in public and behind the scenes. Nunu has been particularly busy this year – both in an active and removed sense – with his Mind Body Dialogue twisted up by the likes of Why Be, Elysia Crampton, Kablam and more. Meanwhile, LOFT came through with a self-directed, reality-distorting for “Zissou”, a highlight from the British artist’s Turbulent Dynamics EP. SHALT remained busy on the remix/edit front as well with takes on Rizzla and Kid Smpl that have become favorites on our various mix and radio appearances. APR artists also stayed busy on the mix front, although you’ll have noticed that none take part in any traditional scene per se and none of them are what could be called a straightforward DJ. SHALT started off the year with a huge entry for Solid Steel and was serendipitously matched up with Autechre. Chants turned in a release-themed mix for NTS in April while our resident DJ team put forth their first studio mix for the Symbols label. Throughout the year, Nunu turned in angelic volumes for Endgame’s Precious Metals show, Disc Magazine, Jerome and our own series while LOFT stayed quiet with the exception of a manic, no fucks given session for our debut NTS Radio LA show (all Astral Plane radio can be found here). We’ll be following up tomorrow with round-ups of our official releases and we hope this little review proves helpful in sussing out what exactly we’ve been up to this year. Thanks for tuning in. Every so often, the bubbly come ons of SPF666’s “Here Little Kitty” remix or his own “Tsundere ツンデレ” will rise through the mix at the club, an always-welcome interjection and a reminder that the Portland-based artist has turned in some of the most indelible entries to the less conventional end of the club music spectrum. It’s been a few years since the release of his Scorpion Cache EP and while original music has been few and far between, the Club Chemtrail representative has stayed busy, contributing excellent writing and mix work to FACT’s Originators series and showing up with the occasional cheeky remix. Last Thursday, we received the largest transmission from the SPF666 universe in quite some time, a Halloween Horror-themed mixfile for Martha’s Radar Radio show. Comprised of edits and blends of music from Friday The 13th, Lost Boys, The Hills Have Eyes, Tetsuo The Ironman and more, SPF666’s takes range from dembow to hardstyle and are as rooted in legitimate study and affection for those genres as they are campy experimentation. We’ve got both the vocal and riddim versions of the “Childs Play Riddim” and “Glass Box Riddim” on premiere today, the former featuring Popcaan’s “Way Up” and the latter resuscitating Cassie’s classic “Me & U”. The perfectly swung lurch of the dembow beat form the backbone of both and choral pads (on the former) and haunting charms (on the latter add more than enough of a creep element. The riddims would be silly if it they weren’t so well produced and the vocals didn’t fit so seamlessly over the top, a welcome reminder that self-serious music doesn’t have to be stodgy. Find the full show after the jump and catch a track list here. With a catalogue that spans four years and 70+ releases, Seattle’s Hush Hush Recordings has become a staple in the electronic underground, releasing everything from grime bootlegs to formative night bus releases and a host of dreamy pop manipulations. Admittedly, much of what the label has released over the past few years has been outside of our scope, but it’s always been a pleasure to delve back into the prolific outfit’s catalogue to see who else has been brought into the fold. One of those acts, Greek duo Ocean Hope, debuted on HH in November 2015 with Chamber Dreams EP, a collection of bucolic, reverb-drenched pop numbers. On August 19, HH will release Chamber Dreams: Remixes Vol. 1, comprised of 10 remixes by label artists and friends. Madison’s Chants, who has released on both HH and Astral Plane Recordings, is among the remixes and his take, recorded just before The Zookeeper sessions, blends the percussive, impact-heavy style he’s been known for with the airy vocals and emotive, tape hiss drenched instrumentation of the Grecians. Stream Kid Smpl, Keep Shelly In Athens and Kimekai’s takes on Ocean Hope here and pre-order Chamber Dreams: Remixes, Vol. 1 here. Another volume of Ocean Hope remixes from HH family and friends will follow in September. Following up the barefaced intensity of his HPE EP, Melbourne’s Air Max ’97 has contributed a key remix to Ziúr’s Taiga EP, out July 1 on Infinite Machine. Following up an expansive US tour and with an EU and Asia tour on the way, AM97 seems to quite literally be all over the place these days, but that hasn’t seemed to effect his indomitable work rate and along with the aforementioned release on his own Decisions label, he’s also found time to remix Swimful and Habits to great effect. With Taiga out a week from today, we’ve got AM97’s take on “Lilith”, made up of a solipsistic kick pattern, the battered refrains of vocalist RIN and icy choir-synths that increase in their ferocity and begin to stab through the mix at the midway point of the track. On the whole, Ziúr’s has worked magic with an industrial sound palette and willingness to always ratchet up the severity of her productions a little bit further and AM97’s twisted contribution is situated perfectly at the end of the release. Look out for AM97 in Europe/Asia over the coming months and grab Taiga on July 1. A resident at Los Angeles’ Cybersonic night, Sha Sha Kimbo has been making waves in the Southern California club scene for the past few years, showing off a chameleonic ability to work a huge range of material into her high-energy DJ sets. As a producer, Sha Sha has shown an impressive work rate, releasing singles and remixes on a seemingly weekly basis and constantly refining a sound that borrows as much from LA rap’s 100 BPM bounce as it does grime, jungle, footwork and Atlantic club forms. Enlisted by Prague-based label Meanbucket, Sha Sha’s latest remix work tackles Nobel and DJ Tuco’s “Hamco”, working out the prickly original’s squeaky vocal sample and menacing bassline into a heavy hitting piece of four-on-the-floor 130 rollage. Like most of the Los Angeles producer’s work, the remix is aimed squarely at the dancefloor and is centered around an indomitable groove, ready made for immediate club play. The remix will appear on Nobel and DJ Tuco’s forthcoming Hamco / Scr33nshot single, which also features a remix from Ase Manual and is out July 12 on Meanbucket. Despite recently signing with London heavyweights Hyperdub, Endgame’s Precious Metals show continues to be one of the best incubators of young talent, featuring everyone from Kamixlo, MM and Rabit to N-Prolenta, Organ Tapes and, recently, Purple Tape Pedigree boss Geng. Usually splitting up the hour slot equitably, Precious Metals is consistently one of the best hours in radio, featuring plenty of forthcoming material and private material from Endgame himself along with the guest sessions that more often than not are must listens. Last week’s show featured French producer Nunu and as per usual it shows off an exciting talent, this time with some forthcoming material on Astral Plane Recordings. Alongside gritty tracks from Exit Sense, Why Be and Lotic, Nunu’s “Punani” sits comfortably in the brooding mix. Look out for more news on “Punani” soon and check out the full show with track list here. Having performed on the Overdrive Infinity platform and contributed a track to SND.PE VOL.05, Loom’s alliance with the Sound Pellegrino family feels about as natural as an artist-label relationship can and on June 3 he’ll be releasing the Burnt Glass EP through the Parisian outpost. Comprised of three stunning originals and remixes from Le Dom, Lloyd SB and Doline, Burnt Glass is another huge notch in the Suffolk producer’s belt, continuing to blur the lines between experimental weightless forms and breakout club material, all with sonic palette that is quickly becoming his own. Burnt Glass is at times delicate and at times full throttle aggressive, subverting listeners’ expectations with rapid switch-ups and a sort of manic sound design that sounds as fresh as ever. As far as out and out dancefloor efficacy goes, “Hardest In The Year” might reign supreme and Parisian producer Le Dom has offered up an expertly crafted flip of the track, reinforcing the original’s metallic framework without succumbing to industrial austerity. Having previously released on Liar’s club tool-focused Tessier-Ashpool label, as well as placing “Bayern” on SND.PE VOL.05, Le Dom is perfectly primed to take on the peak time energy of “Hardest In The Year” and by stripping back some of its more consuming elements the sharp edged percussion and bleeping melodies are allowed some refreshing space. Burnt Glass is out June 3 and can be pre-ordered here.